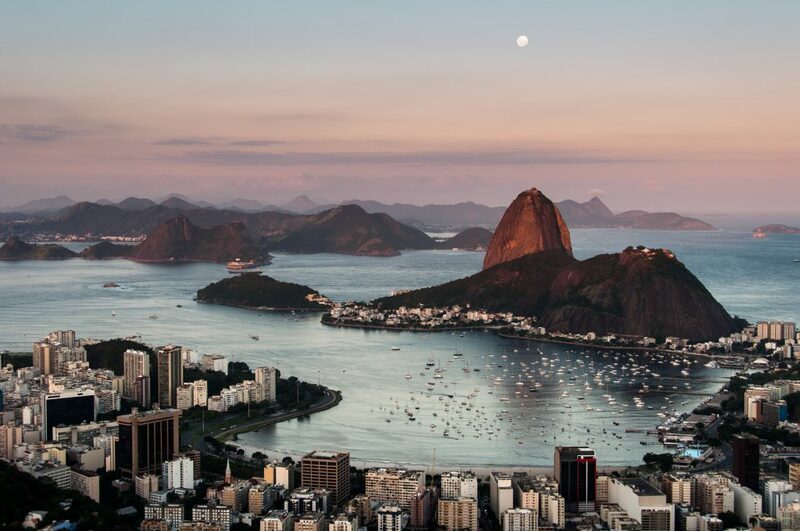 Brazilian holidays are guaranteed to be filled with awe-inspiring sights, and Sugarloaf Mountain – named as such for its history during the heyday of the sugarcane trade – is no exception. Located in Rio De Janeiro and boasting stunning views of the azure Guanabara Bay, this is one of the most beautiful parts of the country. It’s also one which offers a great amount of variety to tantalise everyone from seasoned trekkers to those just wanting some memorable holiday snaps. Sugarloaf Mountain is not a destination that makes you wait patiently for hours before revealing its splendour to you. In fact, for many, the journey is one of their favourite parts, thanks to the glass walled cable car which takes you sky-high to the top of the mountain. Can you think of a better way to enjoy the glistening mountain and granite monoliths rising from the waters than during this four and a half thousand metre journey? It’s also an easier journey than you might think. 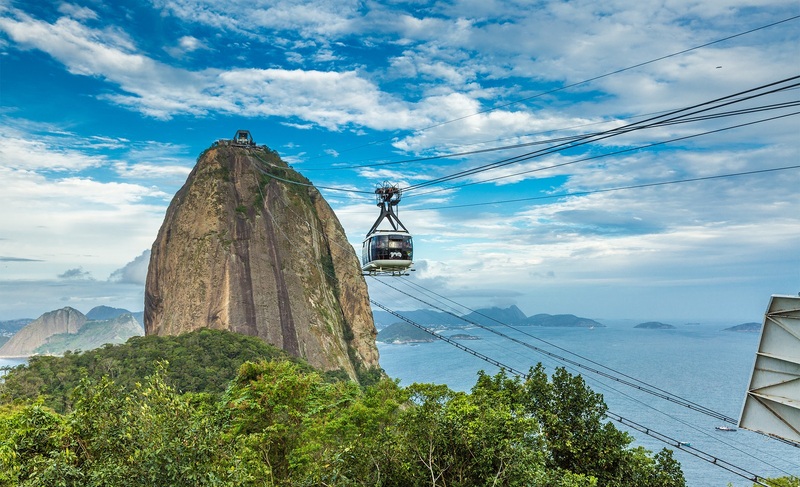 Sugarloaf Mountain might cast an imposing presence but cable cars are as frequent as every twenty minutes, meaning you won’t be waiting around long for your adventure to begin. Well, we did say it was beautiful. Sugarloaf Mountain is a paradise for nature lovers and frankly, anyone with all their senses still in tact. It’s an all natural wonderful featuring waves of green falling off into the horizon, alongside crisp, clear blue seas: all illuminated by that sensational South American sunshine. 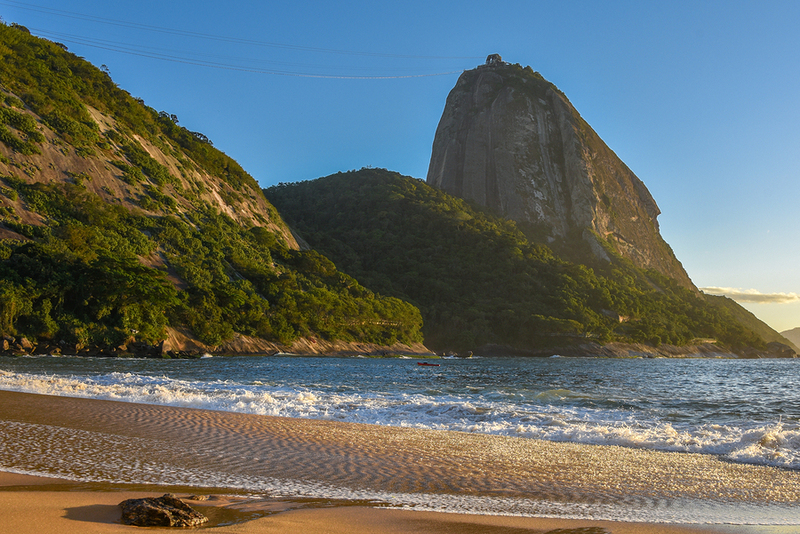 After all, holidaying in Brazil is all about the sun, sea and stunning surroundings. One thing that is for sure is that – no matter the specifics of your adventure at Sugarloaf Mountain – you’ll be left with a sense of awe at the majesty of mother nature after feasting your eyes on one of her finest works. We’ve already touched upon Sugarloaf Mountain’s significance during the sugar trade in the 16th century and, while that is a vitally important part of the mountain’s history, it’s only one piece of its fascinating past. Currently considered a World Heritage Site by UNESCO as of 2012, it came to prominence as a tourist attraction in the early 20th century, with its cable cars opening as early as 1912. It became famed for its incredible views of Rio de Janeiro and has since gone from strength to strength, with the cable cars underdoing a recent rebuild in 2017. 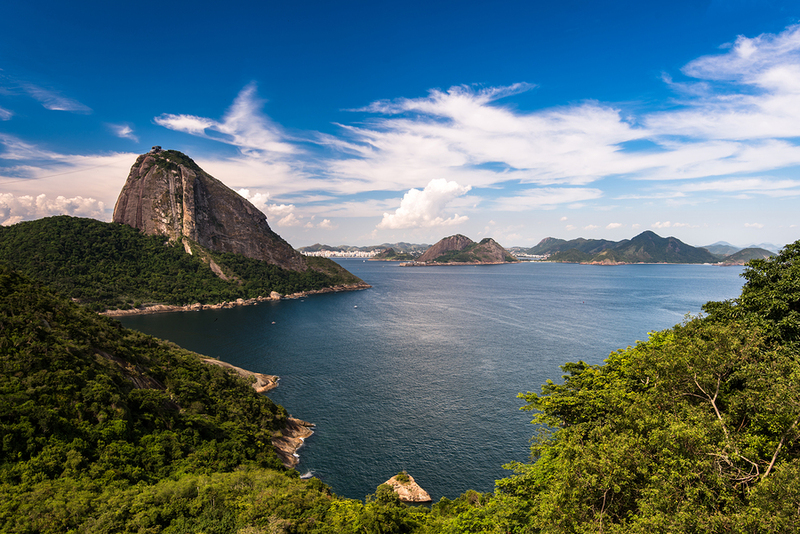 While the views of Rio de Janeiro are certainly the main attraction here – and we doubt anyone who has made the journey would say they’re not worthy of the trip alone – there’s more to Sugarloaf Mountain than meets the eye. This is, after all, a modern tourist attraction, meaning there’s plenty of opportunities to quench your thirst or grab a bite to eat here. On top of that, Sugarloaf is a mountain climbing hotspot. Those feeling daring enough will find two of the largest urban climbing areas in the world in Morro Da Babilonia and Morro Da Urca. And when you holiday Brazil style, there’s always the opportunity for some thrilling, high octave fun.